Summary: TEEB in Local and Regional Policy and Management explores the potential for local development provided by an approach based on nature. It offers examples of successful implementation of this approach from across the world, highlighting the importance of local decision making in management and planning. 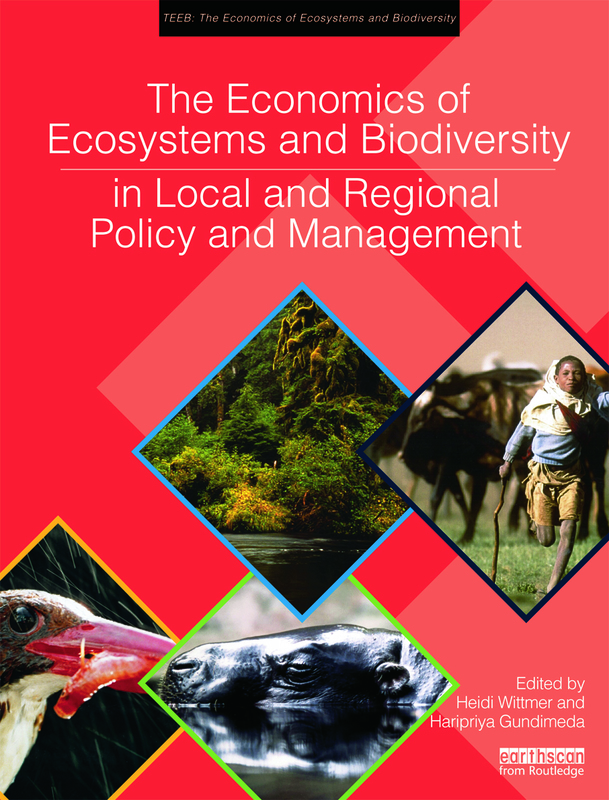 It provides tools and practical guidance for reform, and examine what local governments can do with respect to natural resource use and management, maintaining and supporting biodiversity, local and regional urban and spatial design, as well as market-based approaches, such as Payment for Ecosystem Services (PES). Citation: TEEB (2012), The Economics of Ecosystems and Biodiversity in Local and Regional Policy and Management. Edited by Heidi Wittmer and Haripriya Gundimeda. Earthscan, London and Washington. The book can be purchased from Routledge here.